We are a certified CM truck bed dealer and installer! We will install a flatbed or service body while you wait! Call 618-242-0800. 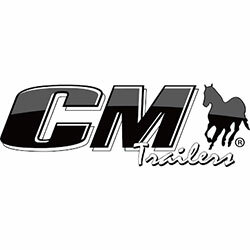 CM Truck Beds is renowned for heavy-duty flatbeds and work bed trucks, offering a very versatile bed and great standard features including 30,000 pound B&W Gooseneck Hitch and 18,500 pound B&W Bumper Pull Hitch. CM offers a very large variety of models including service bodies (steel & aluminum), Dump Bodies, Flatbeds (steel & aluminum), Aluminum Truck Beds and Hay beds. 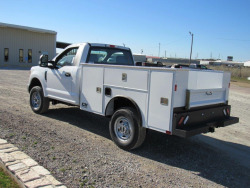 At Country Blacksmith, we stock a large number of CM Flatbeds, Service Bodies, and Dump beds including skirted flatbeds, platform beds and aluminum beds at our Mount Vernon and Carterville, Illinois stores. We install most flatbeds for $725.00; backup cameras for $100.00; and back up sensors for $225.00. Our new product options will help you customize your new CM truck bed to your specific needs, just check the options you want and then add the bed to your cart! If you have any questions, give us a call or stop by one of our stores to talk to a specialist!